BERLIN – Germany has taken a step towards recognizing Bitcoins as a legitimate currency, enforcing new rules to tax the virtual payment system. Late last week the Ministry of Finance of Germany confirmed that the virtual currency “Bitcoin” will now be subject to taxation, as the virtual currency will be regarded as a “unit of account” similar to “private money”, and the generation of Bitcoins will be considered to be the “creation of private money”. Bitcoins are used to make purchases on the internet, but are also often traded for real money via online exchanges, with the value at any given point being based purely on demand and supply, with no pegged exchange rate or controls. As with the current tax treatment of capital gains made from trading shares and equity, the government will apply a 25 percent tax on any profits made from trading Bitcoins purchased or generated within the last 12 months. Since the creation and possession of Bitcoins is not monitored or overseen by any government body, and the trades of Bitcoins are carried out anonymously, the government is not able to track Bitcoin transactions, and taxpayers in Germany will now be required to make a voluntary disclosure of any capital gains made from their own Bitcoin activity. 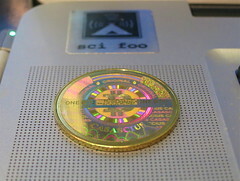 Bitcoins are an electronic currency which are traded online, and are generated via a process of “mining”, whereby computers are used to solve cryptographic problems, earning Bitcoins for each successful computation.